Jim Rubery now resides in South West Wales, where he and his wife run a small caravan park in the Pembrokeshire National Park. He has always been a very keen participant in outdoor pursuits, spending a great deal of his time over the years rock climbing, mountaineering, skiing, walking and canoeing, and has also dabbled with caving and sailing. His writing career, mainly centered on climbing articles and climbing guides, started in the early 1990s when living in Yorkshire. However, he soon expanded his market into the walking world with a regular feature in Yorkshire Life, Lancashire Life, Cheshire Life and Lake District Life magazines, entitled 'Rambling with Rubery'. In 2004 Jim moved to Hertfordshire where he continued the walking trend with articles for Hertfordshire and Essex Life magazines. 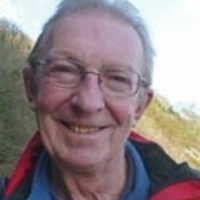 Over the years he has had a number of walking books published, covering Cheshire, the Yorkshire Dales, the Lake District and the Peak District.